Eileen has been a licensed agent since 2008 and joined ISU – The Stratton Agency in January 2017. Since becoming licensed she has earned several insurance industry designations specifically CIC, CISR, CPIA, AFIS. Her current role with ISU - The Stratton Agency is a Farm & Commercial Agent and Office Manager. She provides support for all of The Dalles staff as well. 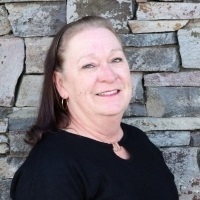 Eileen enjoys spending time with her husband fishing, shooting and attend NHRA drag races.